The Norpro Sauce Master 1951 is the only strainer you'll need to make your own professional quality salsa, sauces, and preserves. 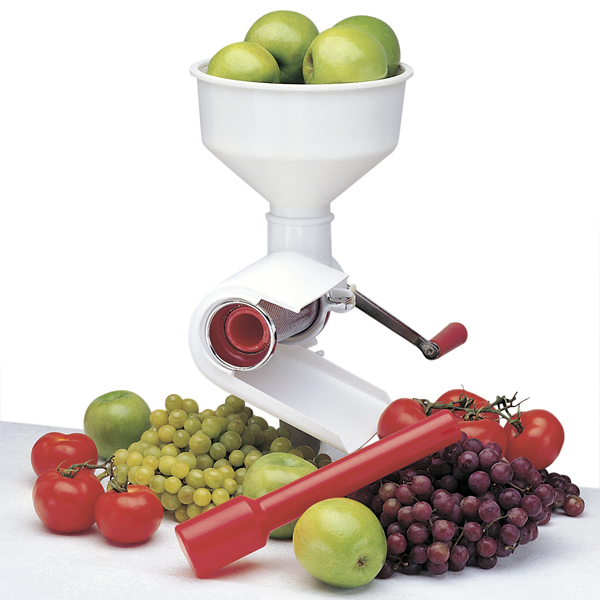 The Sauce Master is the only strainer you will need for vegetables, fruits and purees. 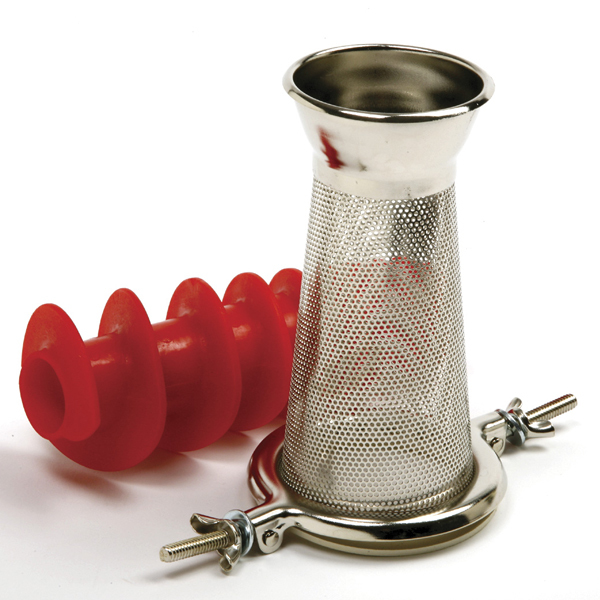 This multiple use strainer forces food through a chrome plated steel screen, automatically separating the juice and pulp in one easy operation. 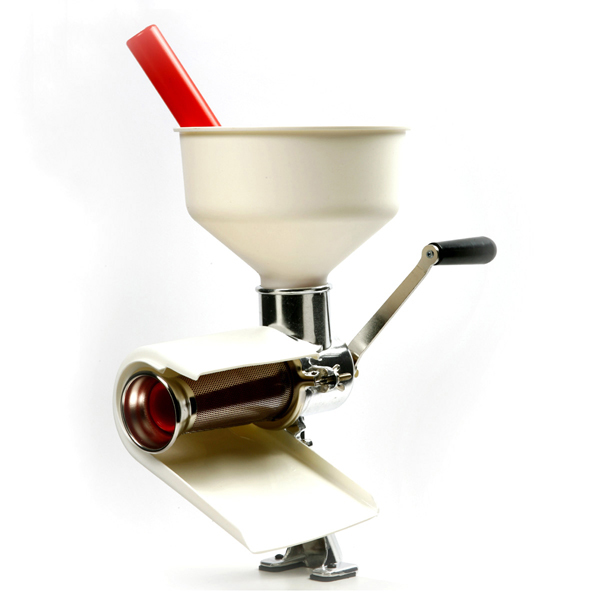 The Sauce Master has a 3 quart (2.9 liter) capacity and features a hopper genorously measuring 8 inches" 20 cm in diameter and 3 inches 7.5 cm in depth. Included with the Sauce Master is a standard screen, spiral, and recipe/instruction booklet. I bought this product last year so I've been able to use it a lot. I've made applesauce, tomato sauce, pear sauce, grape juice and cranberry sauce in it. I found it works great for all my sauces. However, while making the grape juice I did not find it very helpful. 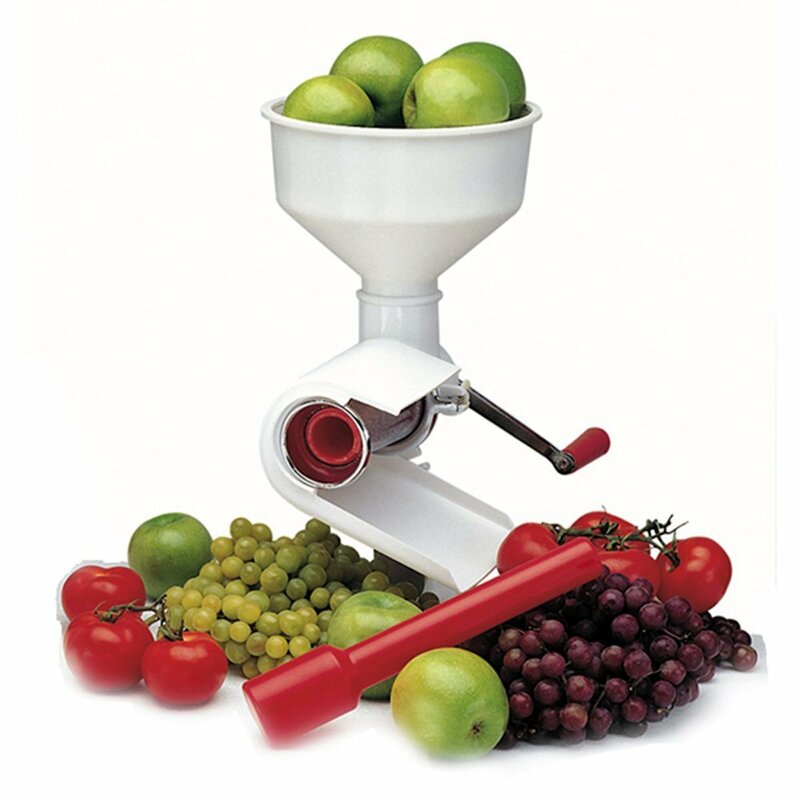 A juicer would work better for juices. I've loaned this out to a few friends and they've loved it too. If you make a lot of sauces or do home canning, this is a must have.